When your air conditioning starts to malfunction and the summer is just getting started, you'll need to know something about how it works if you're considering making your own DIY repairs. Even if you decide to call out a repair guy, it helps to know what he's talking about when he's explaining the problem and what he's going to do to fix it. 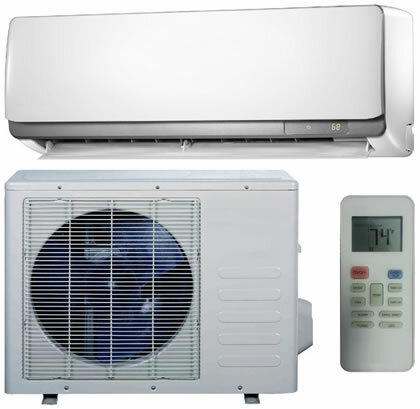 For this and some other reasons, this section of the website was created to help de-mystify the workings of air conditioners and to give you confidence to talk to a professional about any work that needs to be done on your equipment. It is also very useful if you intend making your own repairs and you need to buy spare parts from a hardware store and you need to buy the right parts and not come away with a bunch of packs of wire nails and a hammer! This page is the focal point for a series of informative articles that you'll find linked to below that are related to this subject. For that reason I won't go into too much detail right here, as I prefer to do that in focused articles that each can shed light on specific areas of a cooling system and equipment. The first thing you need to know is that all air conditioning appliances work on a refrigeration system that basically takes warm air in from a room, passes it through its internal refrigeration hardware and forces the now chilled air back into the room to cool it down. It sounds pretty simple and in fact it actually is pretty simple in principle. The hardware is similar to that found in any domestic refrigerator. It's just set out in a logical format to maximize the chilling effect on the air that is forced through it. The big difference between an AC and a fridge is that a fridge only needs to keep the air in an enclosed space cool, whereas an AC needs to act on the air in a much larger space. This difference goes some way to explain why your fridge only uses say around a quarter or less of the power that your living room's AC unit uses. While the inside of your fridge can be a few chilly degrees above freezing point, your living room is closer to a more comfortable 75 degrees or thereabouts but the power needed to achieve these temperatures differs a lot. The obvious reason an AC uses so much more power to keep a room at 75 degrees than a fridge uses to keep its insides closer to 35 degrees is that a room has a much larger volume of air to process than even a large fridge. It takes a certain amount of power to reduce the temperature of a cubic foot of air by one degree, so the more cubic feet the equipment has to deal with, the more power it is going to use! To cut down on the amount of power being used by an AC to keep a room cool, you need to use a common sense approach. The first place to deal with is in the room's level of insulation and reducing its air leaks so that more of the cool air created by the equipment stays in there and more of the hotter air from outside is kept out. The next thing to deal with is keeping a close watch on the thermostat. Too many people get it into their heads that they need to keep the temperature indoors at a level that would be more agreeable to penguins and polar bears than to humans without giving any thought to how much additional power they are wasting to achieve it. The sensible approach is to set the thermostat to keep the indoor temperature at a "comfortable" level, which for most people is around the 75 degrees mark. Setting it much lower means you'll feel cold and need to put on warm clothes, which kind of defeats the object. A good way of making sense of that is to consider the temperature you like to have the house kept by the heating system in winter. Again, 75 degrees is a comfortable temperature that you can relax in normal clothing and not feel too cold and not to warm either. You certainly don't turn the thermostat down to 60 degrees in winter or you'd feel too cold. So don't do it in summer! So as I mentioned above, this page acts as a central focus for the related articles that are linked to from below. Take a look at the titles and you're sure to find something that will be useful to know about. Self Evaporating Portable Air Conditioner: No More Mess!